Thanks for attending Haiwell ODM 2017!-Xiamen Haiwell Technology Co., Ltd.
Dear all, thank you all for coming and making the first Haiwell Overseas Distributors Meeting & Technical Traininig a big success! 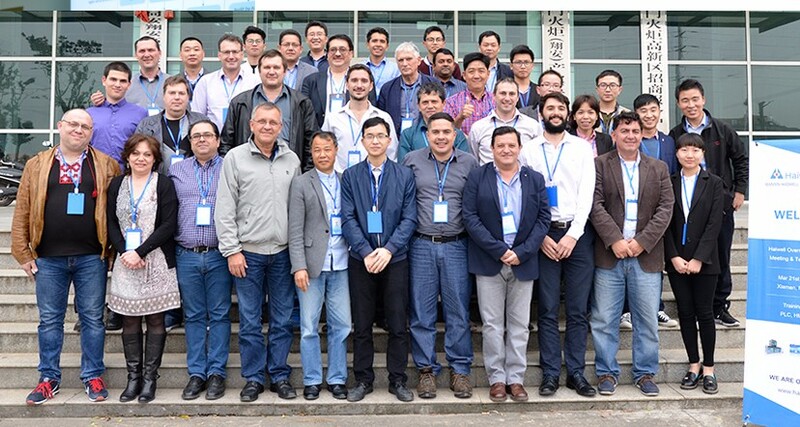 The attendees came from 14 different countries (Ukraine, Spain, Argentina, Bulgaria, Thailand, Columbia, Brazil, Mexico, Bolivia, Australia, France, Russia, Bengal, Ecuador) that created a great and truly international atmosphere. Throughout our five-day meeting, we had Haiwell products trainning & operation sessions by Haiwell technical department, and also we were pleased to have informative and inspirational sessions with engaging speakers Mr. Meidad and Dr. Daniel covering how to promote Haiwell brand and Haiwell PLC application. We would like to say a huge THANK YOU to everyone for your professionalism and great content! Without you the meeting couldn’t come to life. If you were there please be sure to share feedback, we can learn from your feedback and make the next meeting even better! Thanks again for taking part of the meeting. We hope to see you at the next one!